The SRPK is designed to be used by a candidate to apply a government job through SRPK website without interacting directly with the Government Employers. SRPK is not designed to be the sole method of conducting tests or interviews or to provide the government jobs. SRPK is made available all over India to all persons, regardless of age, gender, race or religion, but it is not recommended to the candidates under the age set by authority of Government of India. SRPK , Itsilver Innovation and Infotainment Llp and any other party involved in creating, producing or delivering SRPK service shall not be liable for any direct, incidental, consequential, indirect, special, punitive or similar damages arising out of access to use of, acceptance by, or interpretation of the SRPK by any third party or any errors or omissions in the content thereof. 1.1 Confidentiality Disclaimer SRPK guarantees complete confidentiality in regards to the details of member's information and identities. SRPK will only use information revealed in a member's profile for the purpose of job application process. 1.2 Recruitment Disclaimer SRPK is only the medium to apply the government jobs, and will not responsible while appearing in government job tests or interviews. User will be fully responsible for the results of tests or interviews and SRPK will not take part in that process. Company will not responsible if user never get the government job. 1.3 Email Disclaimer SRPK does not sell or or transfer email information to any entity or persons. 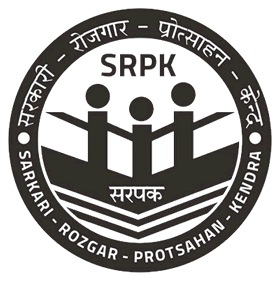 Upon becoming a member of SRPK, SRPK will send you notifications regarding your activities on the website or will send the newsletter announcement containing SRPK insights and Job information from support(at)srpk.in or srpk(at)updates(dot)org(dot)in. You may unsubscribe from this free publication at any time. Unsubscribe requests usually go into effect within 3 to 4 working day of the request. 1.4 Product Liability Disclaimer While SRPK uses reasonable efforts to include accurate and up to date information, SRPK makes no guarantees or representations regarding the accuracy or significance of any aspect of the information. SRPK cannot be held responsible for any interpretation, action, or use that may be made as a result of information given. In no event shall SRPK, its employees, agents, suppliers, or contractors be liable for damages of any kind, including without limitation any compensatory, incidental, direct, indirect, special, punitive or consequential damages, loss of use, loss of data, loss of income or profit, damage to property, claims of third parties, or any other kind of losses arising out of or in connection to the SRPK web site. 1.5 Copyright Disclaimer Almost All images, text, graphics, audios, videos, streaming videos are the property of SRPK & ITSILVER, including the look and- feel of the SRPK website. Some of Logos and Images from these are under copyright of respective Companies or Organisation or Any Person. None of the above may be resold, redistributed, or republished without prior written permission from SRPK and ITSILVER. 1.6 Images All photo images on this site are believed to be public domain, they are gathered from all over the internet and there is no copyright on these pictures as far as we are concerned. If there is a picture on this site that has a copyright then the owner can email us at support(at)srpk.in and we will remove the picture from this site. None of the persons on this site have authorized their presence here. This site is not associated with them or their companies in any way. All trademarks belong to their respective owners. The information contained in this website is for general information purposes only. 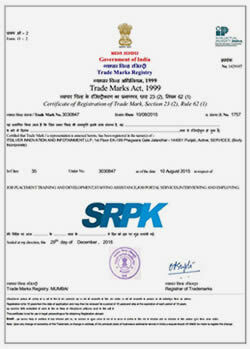 The information is provided by SRPK.in, a property of Itsilver Innovation and Infotainment LLP. While we endeavour to keep the information up to date and correct, we make no representations or warranties of any kind, express or implied, about the completeness, accuracy, reliability, suitability or availability with respect to the website or the information, products, services, or related graphics contained on the website for any purpose. Any reliance you place on such information is therefore strictly at your own risk. In no event will we be liable for any loss or damage including without limitation, indirect or consequential loss or damage, or any loss or damage whatsoever arising from loss of data or profits arising out of, or in connection with, the use of this website. Through this website you are able to link to other websites which are not under the control of Itsilver Innovation and Infotainment LLP. We have no control over the nature, content and availability of those sites. The inclusion of any links does not necessarily imply a recommendation or endorse the views expressed within them. Every effort is made to keep the website up and running smoothly. However, Itsilver Innovation and Infotainment LLP takes no responsibility for, and will not be liable for, the website being temporarily unavailable due to technical issues beyond our control.